The Patrons’ Circle was established in 2011 as a means of fostering collaboration and exchange between the students and faculty of the Department of History of Art and cultural and philanthropic leaders throughout the community. The annual contribution of members will help fund the annual Patrons’ Lecture, which will bring prominent art historians to Ohio State each autumn as well as other departmental initiatives, most notably graduate student travel and research. Members of the Patrons’ Circle will be invited to audit selected courses in the Department each term and to participate in a number of special events throughout the year. These include lectures by OSU and visiting faculty, faculty-led visits to regional museums and exhibitions, and tours of local private collections. To become a member of the Patrons’ Circle, please send your check in the amount of $1,000 and made payable to The Ohio State University Foundation (fund #313810) to Lisa Florman, Chair, Department of History of Art, 5036 Smith Laboratory, 174 W. 18th Ave., Columbus, OH, 43210 or go to the website. The Department of History of Art hosted the 40th annual conference of the Midwest Art History Society (MAHS) at the Ohio Union on March 21-23, 2012. At the Members Luncheon on March 22, George and Tina Skestos, founding members of the Department's Patrons' Circle, were presented with the 2013 Charles D. Cuttler Award for Contributions to the History of Art. 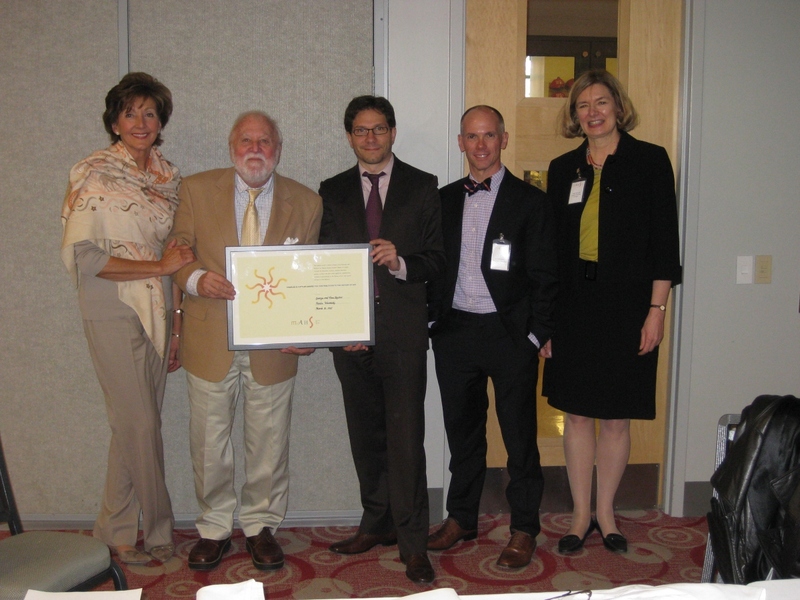 Shown in the photograph are, from left to right, Tina Skestos, George Skestos, Associate Professor Christian Kleinbub, Associate Professor and Chair Andrew Shelton, and Paula Wisotzki, President of MAHS.